Pricing plays one of the main roles in convincing visitors to order or buy from your site. 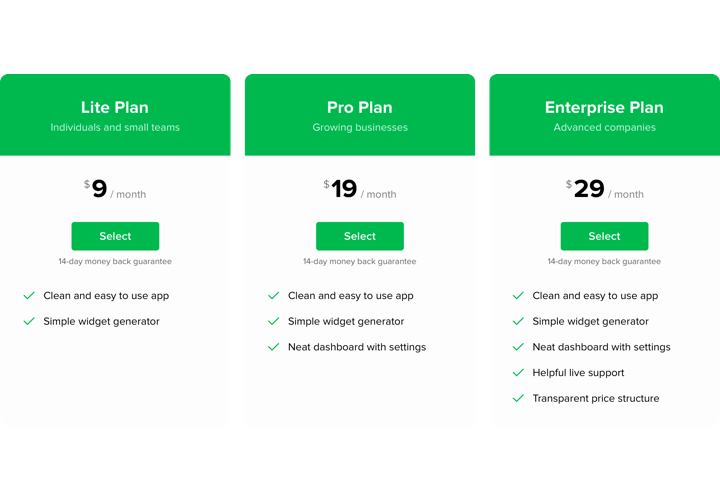 Widget by our team not only allows your shoppers to learn and compare available price plans in a flash. It also helps increase conversion by means of the freshest techniques included in the interface and templates. 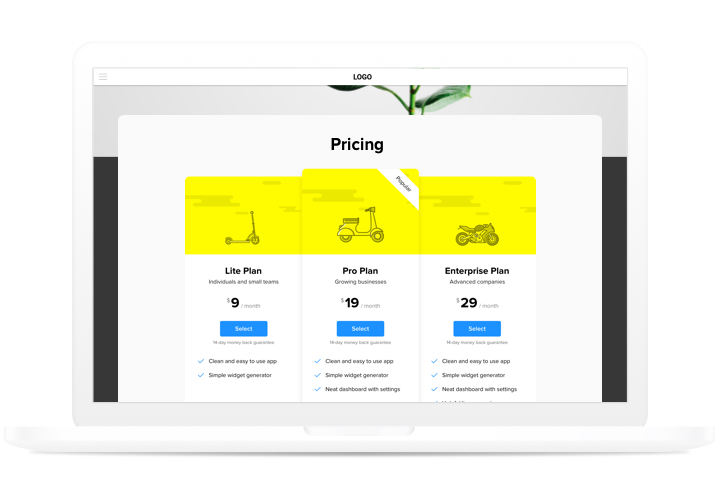 Raise sales of your website to a different height, using smart pricing. Help customers make a purchase. Show the information your future clients require in the most clear manner, and help them make the adequate decision. Having a rich collection of settings which enable you to configure all possible kinds of pricings in 2 steps, you are able to create the plugin that will be totally selling for your site. 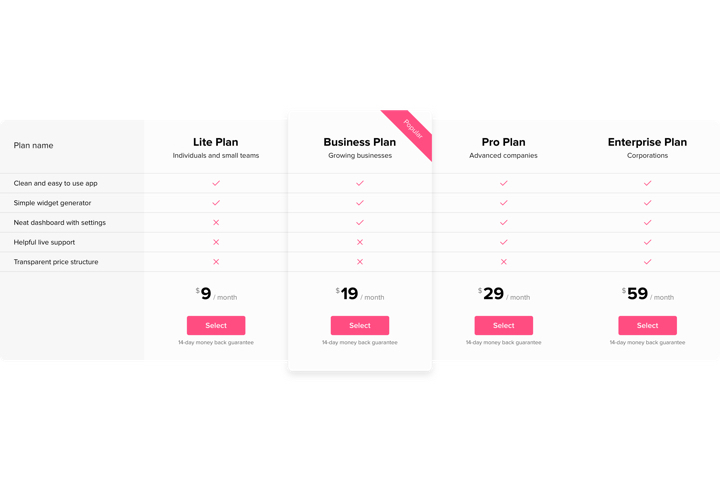 Make your pricing exciting for users. Make use of different colors, add units, show pictures, to make your pricing entertaining for clients and produce strong positive effect on the buying result. The characteristics that transform our widget into the best Pricing Table for HTML websites. A guide on installation of Elfsight widget. To carry out this process, you don’t need experience in web development or a lot of time. Just several quick steps and 2 minutes of time. 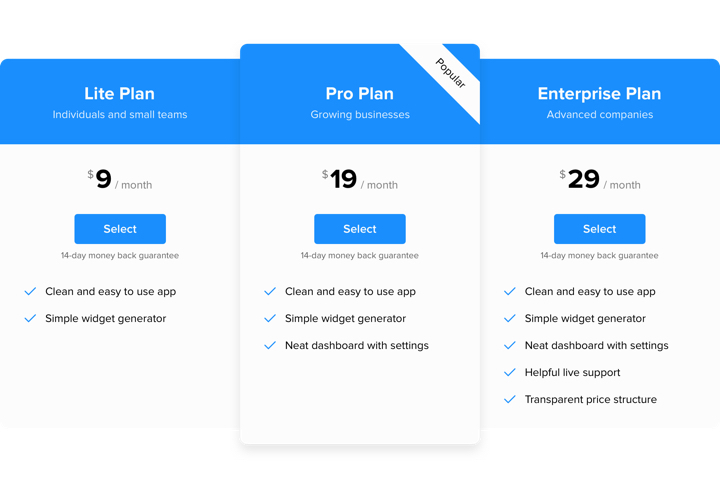 Generate your unique Pricing widget. By means of our free demo, generate a plugin with desired look and settings. After widget configuring, get the code for Pricing Table from the appeared notification on Elfsight Apps. Open the page code in the HTML editor, and insert the widget into the needed place (content, footer, sidebar etc) then publish the changes. Go to the website, to check your work. Having troubles with generation of the widget? 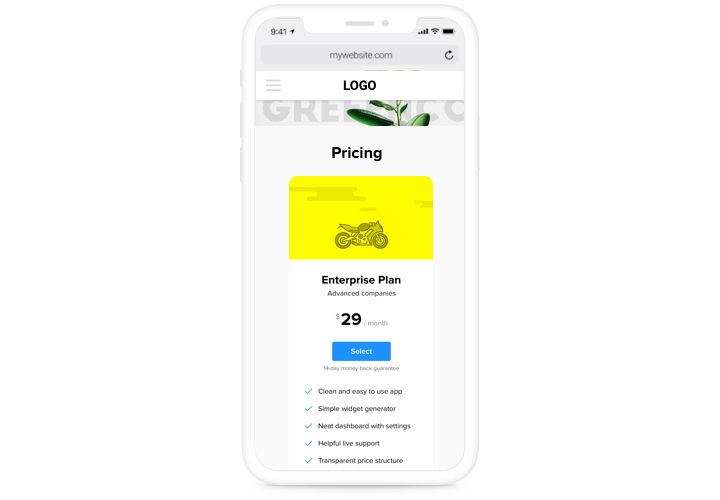 Study our extensive guide «How to add pricing table into a HTML» or leave a message for our support team, which will solve all kinds of issues timely. 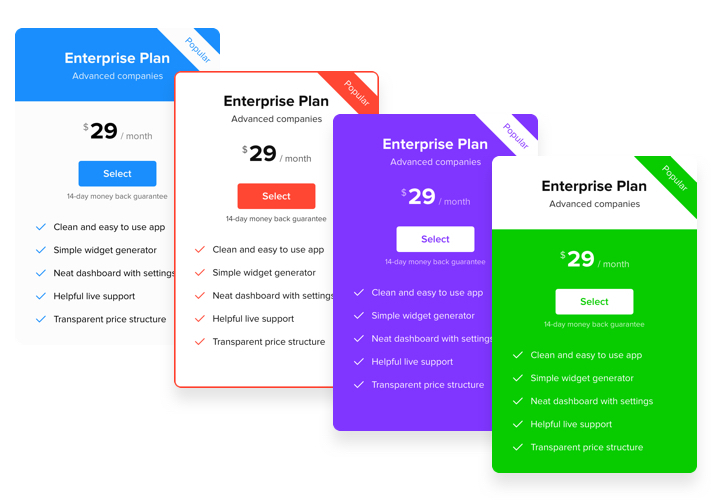 Built the best HTML Pricing Table widget in just 60 seconds!